"To whom it may concern, "
"Thank you for taking care of my baby, Rosalind. I hope you will forgive me for the unexpectedness of this situation, but I cannot give Rosalind the home she deserves. I hope you will see that she is well taken care of and loved. Please do not let anyone harm her. Tell her I loved her very much." Nicki and her friends expected a normal flight home from Ireland until Laura meets a woman in the airport and offers to watch her baby. When the woman fails to board the plane with the girls, Laura and Nicki find a note in the baby's diaper bag. Did the mother really abandon the child? 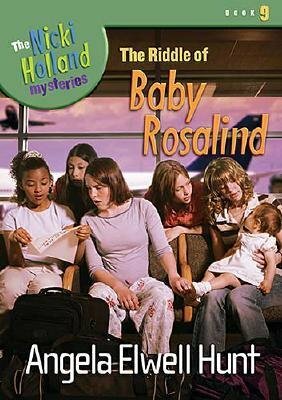 Was the woman in the airport really the baby's mother, or was she the kidnapper? Nicki and her friends have only eight hours to find answers to their many questions about the baby in their care.